The information also includes: the date of release in Holland, the cinema in which it premiered, the countries by which the film was produced as well as original year of production, the length of the film, the production company's name, the film distributor (& video distributor) in Holland, number of viewers attending each film during its release period, and the number of copies distributed in Holland. For the first time this year a film/image ratio is included which delineates widescreen from cinemascope and allows the consumer to make a more informed choice when purchasing a DVD or video. 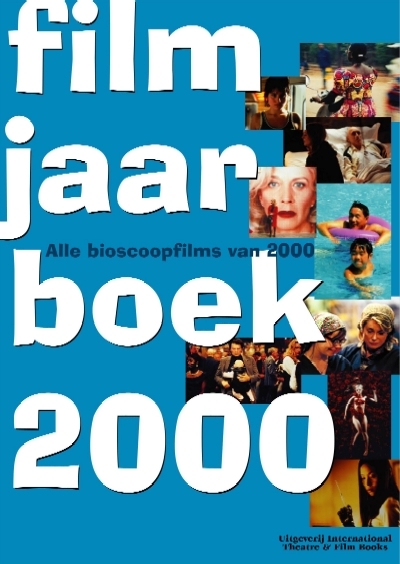 The main sponsor for the publication is NICAM and extra support has also been lent for its realization by the Dutch Funds for Film Foundation as well as the "Friends of the Filmjaarboek". Special articles for the new edition include "The Young Dogs - The Eager Approach of the New Generation of Dutch Film Actors" written by Romy van Krieken and "Culture Shocks - The Trans-cultural Pitfalls of Film Criticism" by André Waardenburg.